More than half a decade after Jurassic Park heralded the rebirth of the Interactive Movie genre, a certain amount of stagnation has built up. Branching storylines, player-guided conversations, timed choice points – all of them have become familiar to the point that there’s no novelty left. As such, it’s a perfect time for a developer to come along and experiment with the format, and attempt to use the narrative strengths of the genre as a blueprint for something exciting and new — and this is exactly what the developers behind The Council have managed. Functioning as a classic ‘spooky island’ mystery story set in the late 18th century, The Council casts players as Louis, a member of a secret order of freelance intelligence agents who conspire across the globe to… well, it’s not entirely clear what they’re up to, and this question is responsible for about a third of the story’s intrigue. Regardless, Louis’ mother has disappeared during a meeting of luminaries on a remote English island owned by a reclusive millionaire, and it’s up to the player to get to the bottom of things! Or, the can just bumble around a little and get really confused, since this is the first of five episodes. The core gameplay will be familiar to anyone who’s played anything falling into the Interactive Movie genre. (Think Telltale Games here.) The areas to explore are limited, there are items to pick up, there are branching conversations to take part in, and time-sensitive events crop up when the player needs to choose an action. What separates The Council from Telltale’s recent output is an extremely well-thought-out leveling and skill system that adds a surprising amount of depth. While players will always control Louis, they get to decide what his specialty is. 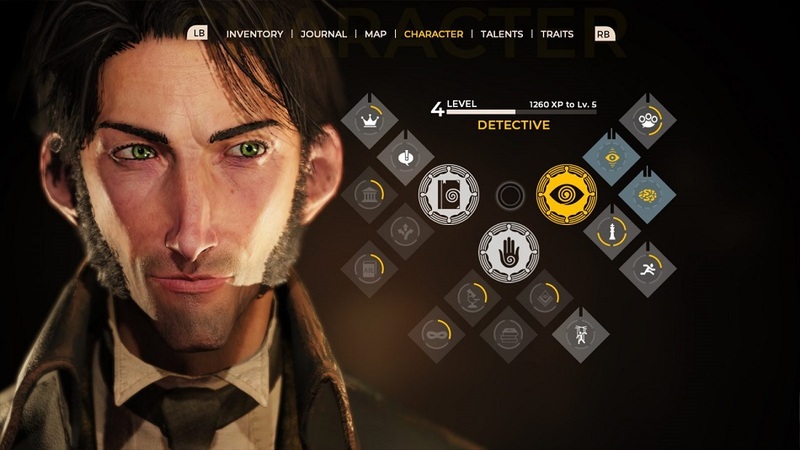 Is he a two-fisted detective, a savvy political operator, or an occultist with extensive knowledge of arcane secrets? Whichever role they choose unlocks a suite of skills which let them interact with the environment and open up new conversation options. A trained linguist will be able to understand the writing on a letter to China, while a detective might be able to notice a significant marking on the envelope, and an operative trained in subterfuge could open the letter and read the contents without disturbing the seal. At first these skill-based restrictions can seem unfair – for the first two ‘quests’ of the four that make up the episode, I found myself frustrated by dialogue options which were locked away because I knew nothing about politics or psychology, and was briefly tempted to restart with a different build. Then, as things progressed, I began to realize that the mansion was packed with opportunities to use every possible skill – while additional skills can be unlocked, a rich narrative experience unfolds no matter what type of character is being played. 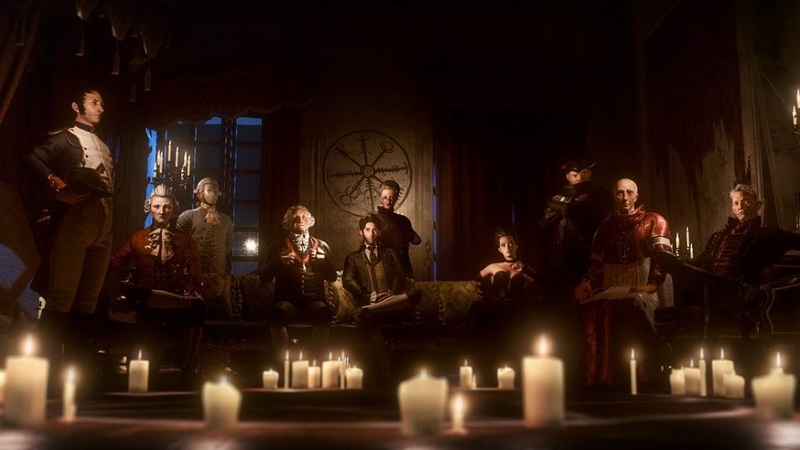 While exploring the mansion and looking for clues is quite thrilling, The Council‘s real centerpiece is the ‘confrontation’ system, in which players find themselves matching wits with one of the other guests on the island. At the outset, the player is given an objective – get the person to give them an item or tell them a secret – and then the conversation begins. At each choice point, they have a few options for what to say – anywhere from two to six, depending on whether they have any relevant skills. 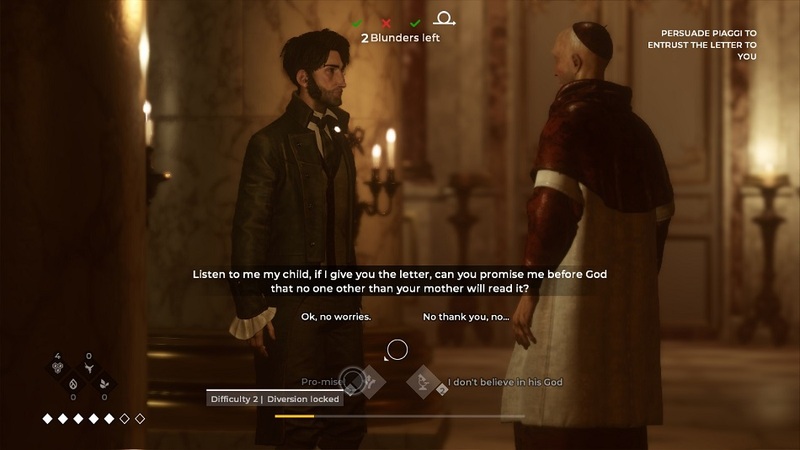 The player has to then carefully navigate the conversations, paying attention not just to what the other characters are saying, but also watching their facial expressions and listening for intonation. The developers have made sure to have the voice actors hint at what’s going on in their performances, and when a lie is being told, there’s usually a physical sign of it. While I can’t make a judgment on the overall story based on one episode, it’s off to a great start, and the cast of characters is made up of several famous historical figures. Speaking of which, it would do the player well to brush up on these luminaries, because the developers have attempted to make them dramatically authentic. For example, a young army officer named Napoleon makes an appearance, and he behaves as one familiar with his story would expect him to — coming armed with that knowledge will prove quite advantageous since every scene is filled with conflicting loyalties and sidelong glances. Episode 1: The Mad Ones is as good a beginning as any I’ve ever played, and there’s much to look forward to — everyone has secrets, and only a fraction of them can be ferreted out in this chapter. In fact, it’s so good that there are only two small downsides. The first is the main character’s vocal performance. For a Frenchman, Louis has a strange, generically American accent, and the actor simply doesn’t deliver much emotion in his performance. With all of the other characters voiced so impressively, he stands out like a sore thumb. My other issue is a lack of multiple save files. The game clearly tells players at the end of each ‘quest’ what they could have done differently — tests they failed, or alternate choices they could have made. Naturally, this spurs the impulse to try again. However, there’s no obvious way to do it without erasing their progress or creating a new profile on the console itself, which is a bit of a disappointment. The developers offers so many different paths to take, so why make exploring them difficult? Disclosures: This game is developed by Big Bad Wolf and published by Focus Home Interactive. It is currently available on PC, PS4, and XBO. This copy of the game was obtained via publisher and reviewed on the PS4. Approximately 3 hours of play were devoted to the single-player mode, and the episode was completed. There are no multiplayer modes. Parents: According to the ESRB, this game is rated M and contains Violence, Blood, Sexual Themes, Strong Language, and Use of Alcohol. Drinking, drugs, threatened sexual violence, and a whole lot of swearing — this is as ‘mature’ as these things get. It’s a gritty and violent mystery about great people of history being caught up in the occult and manipulating one another. No kids anywhere near it, please. Deaf & Hard of Hearing Gamers: There are subtleties to the tone of voice that characters use in conversations which are relevant to figuring out what they’re concealing. There are often facial cues to offer the clue as well, but not always, so the confrontations may be a little more difficult. Otherwise, there are subtitles for all conversations. This review, along with the recommend on the podcast is going to make me play this game… I am still in the middle of Candleman… Arrgh!